A native of Almira, Washington, violist Mick Wetzel studied at Indiana University and received his bachelor’s and master’s degrees from the University of Michigan. His teachers have included Paul Coletti, Roland Vamos, Emmanuel Vardi, Donald McInnes, Camilla Wicks, and Tadeusz Wronski. He joined the Los Angeles Philharmonic at the start of the 1994/95 season. His orchestral experience includes the Spokane Symphony, principal viola of the Ann Arbor Chamber and Sacramento Symphony Orchestras, the San Francisco Ballet Orchestra, and – for the six years prior to joining the Philharmonic – the San Francisco Symphony. He has performed as soloist with various local orchestras. 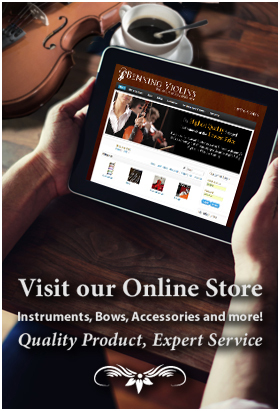 His awards include the W. E. Hill & Sons Award at the Lionel Tertis International Viola Competition. Wetzel has worked as a chamber music coach at the USC Thornton School of Music and taught viola performance on the faculty of UCLA. 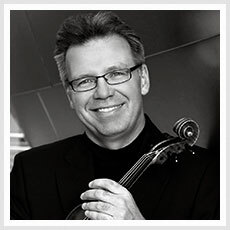 He currently teaches viola performance at California State University Fullerton. He is a regular performer on the Los Angeles Philharmonic’s Chamber Music series and has also performed with various ensembles at the Philharmonic’s Green Umbrella concerts. His wife, violinist Stacy Wetzel, is a member of the first violin section of the Philharmonic.